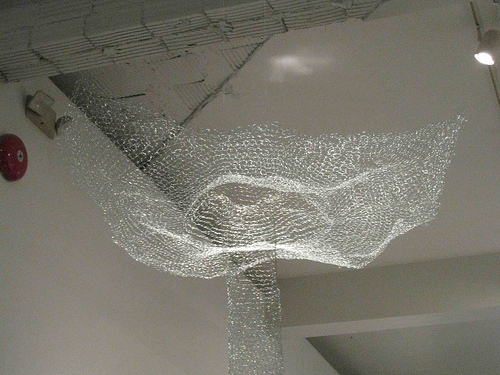 Hand-crocheted wire stalactite for the exhibit ‘Behind Our Scenes’, curated by Nikki Rosato and Laura Mustio. Nearly a mile of wire was used to complete the ten-foot-tall sculpture. I created a looped soundtrack for small speakers embedded in the sculpture, which emitted cave-like noises, echoes, and rustlings. All sounds were created using my voice.